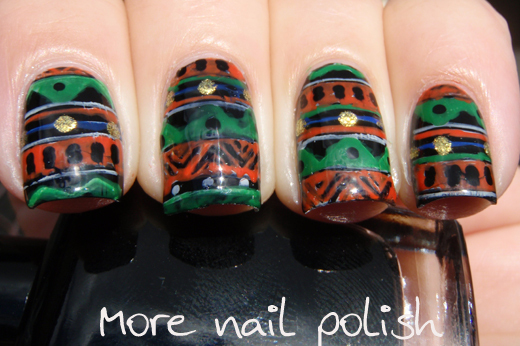 My tribal design nails for Day 16 of the 31 Day Challenge didn't end up exactly as I planned. 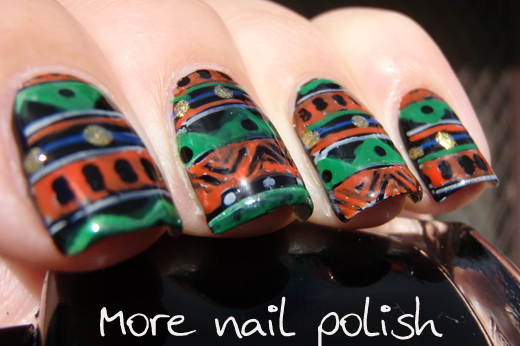 I have a wonderful stamp design that has the perfect tribal image. It's on Fab Ur Nails Fun Plate #7. I painted my nails black and then stamped with the tribal stamp in different positions and directions on my nail. So far so good. 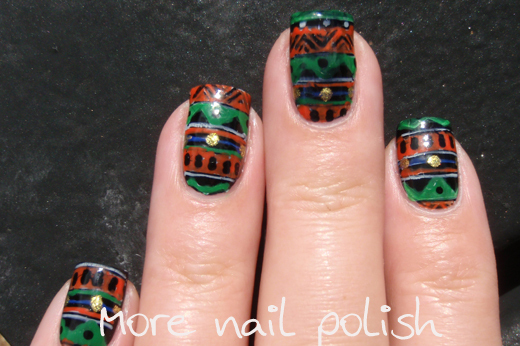 I then hand painted over sections of the white stamping using green, orange and blue polishes. I added a few dots of gold and left a few dots and lines white. Still going good. Then I applied top coat to my design. This is where things went bad. Before m eyes I could see my design sort of melting away. My black base coat was dissolving up through the stamping and coloured parts and making them black and washed out. Boooooo. The middle finger was the worst, but all nails were affected. I wasn't going to attempt another design, because these nails took me ages to do, plus you guys love seeing nail fails too :). Next time I attempt a design like this I will use a black gel base. Oh well, it still looked ok from a normal distance, it's just these up close nail shots that don't do me any favours. 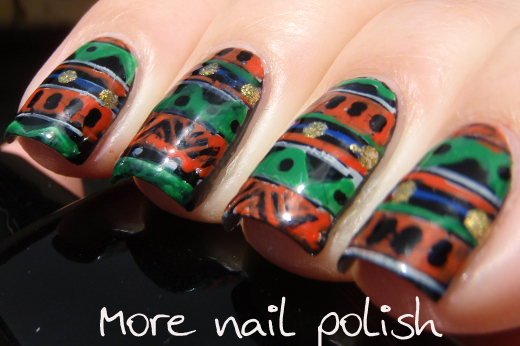 The meshed colours give the mani a weathered look... 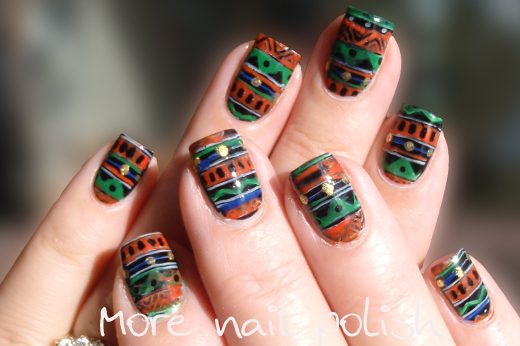 Which totally goes with the tribal theme, right? 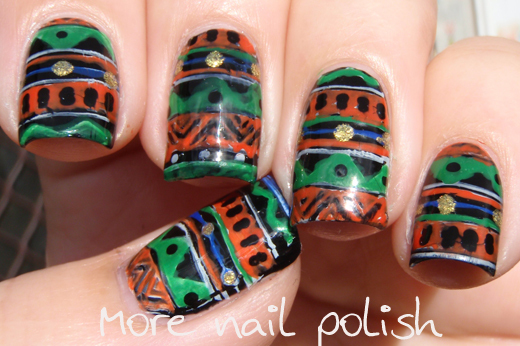 For a nail fail, this certainly isn't very fail! I never would have guessed this was a fail!